Published June 24, 2015 at 336 × 500 in Welcome! Please browse my work by clicking on the galleries below.. The Ann Arbor Observer, July 2016. 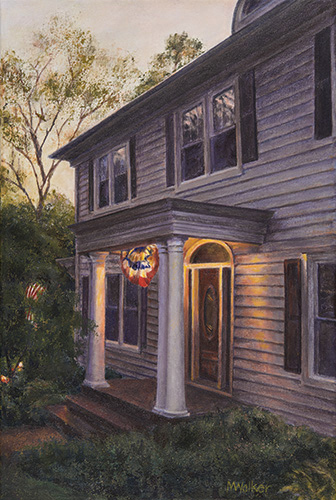 18″ x 12″ acrylic painting on canvas of a house decorated for July 4th.